A shell of sea creatures such as sea snails and scallops offers protection against predators and ensures the body organs are safe from external harm. 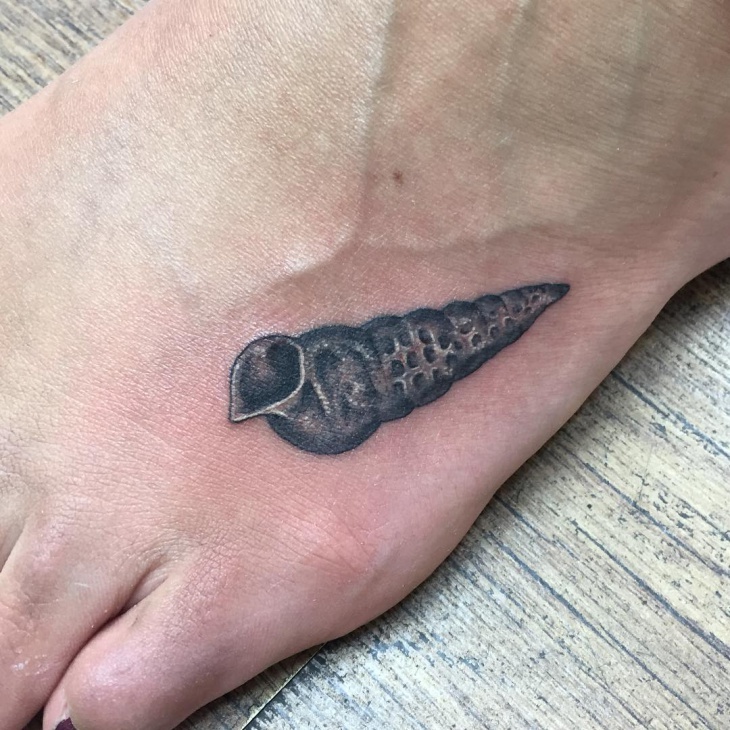 It’s because of its courageous characteristic that most people opt for a shell tattoo. 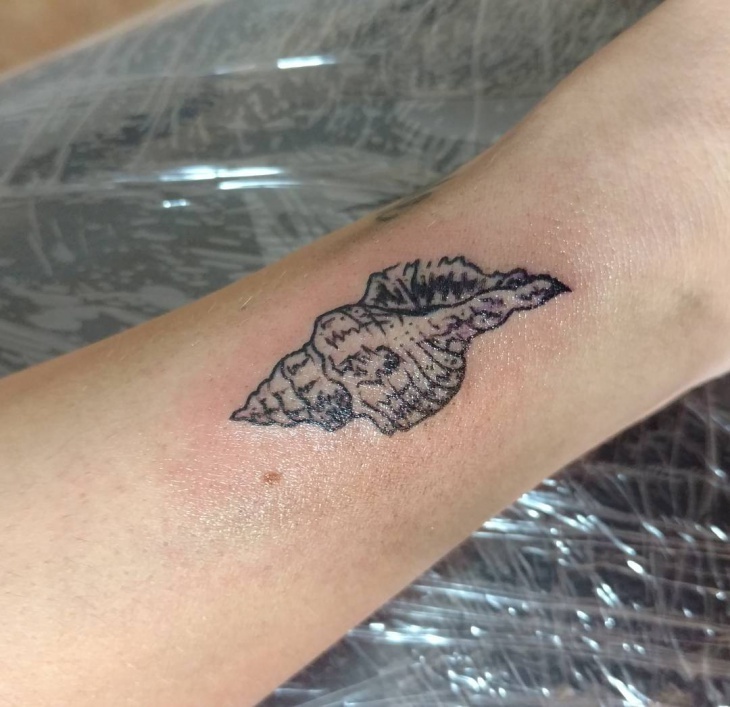 Individuals who love the serene ocean-atmosphere or the varied life found in water bodies can also include a heart tattoo to symbolize courage. 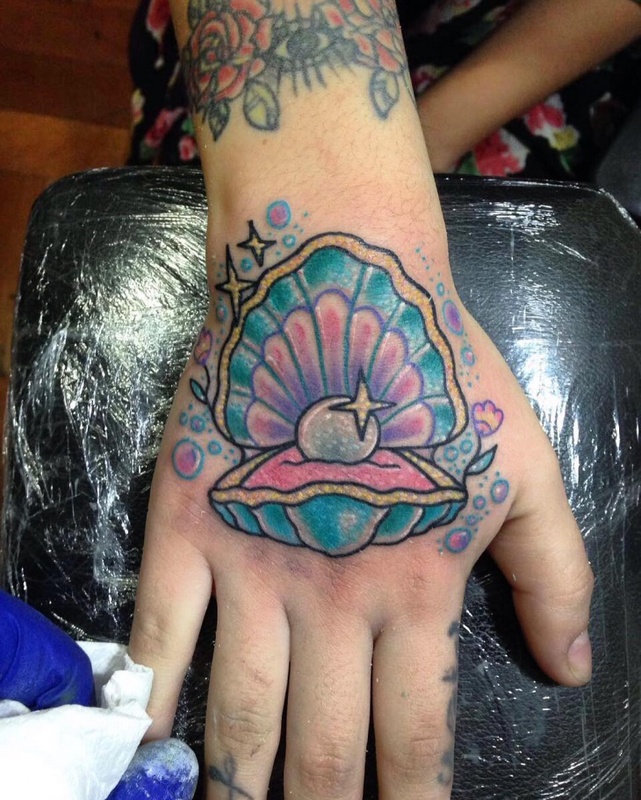 Whether you prefer a conch or a scallop, there’s a shell tattoo that will suit you. 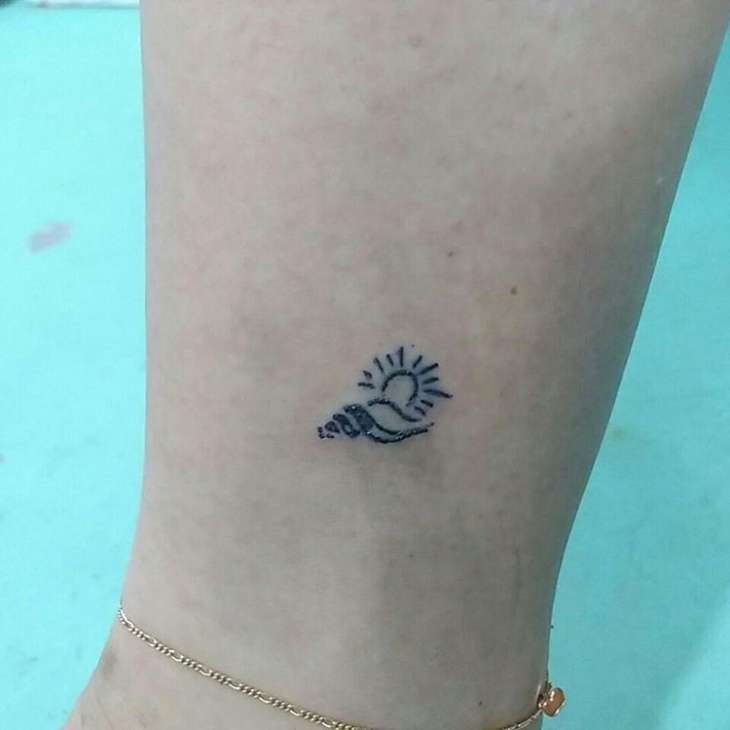 Portray mystery as well as the love for the ocean by going for this shell tattoo. 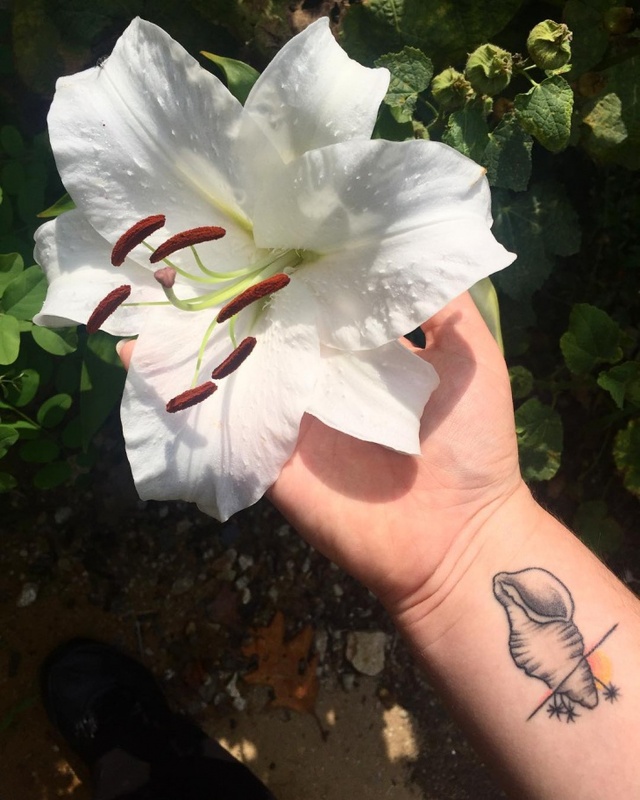 The small size makes this tattoo ideal to be inked on the wrist. This particular design is perfect for people with a marine background. 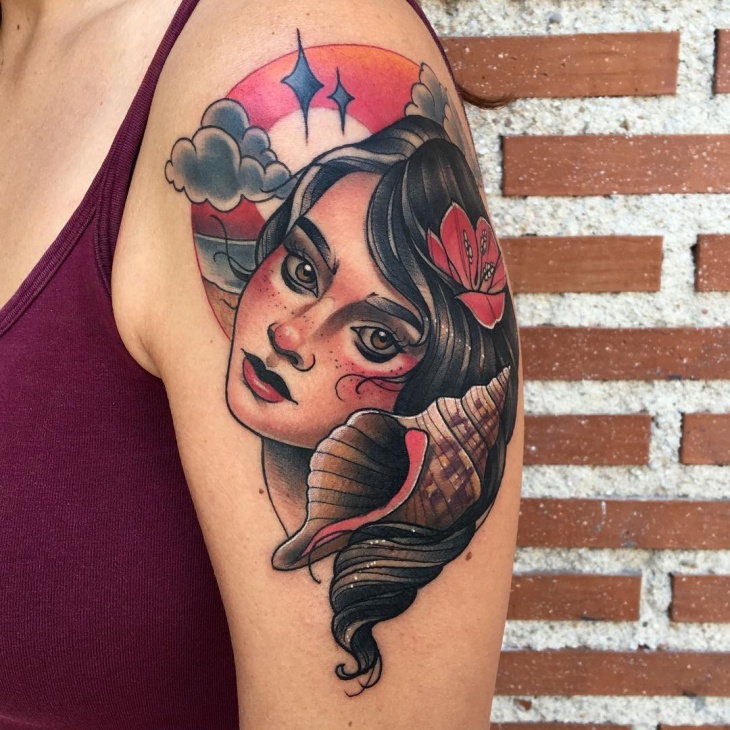 Seashell tattoos are one of those designs that are both rare and unique. Go for this beautiful monochrome black design to depict trust or friendship. The black color makes this design suitable for both male and female. 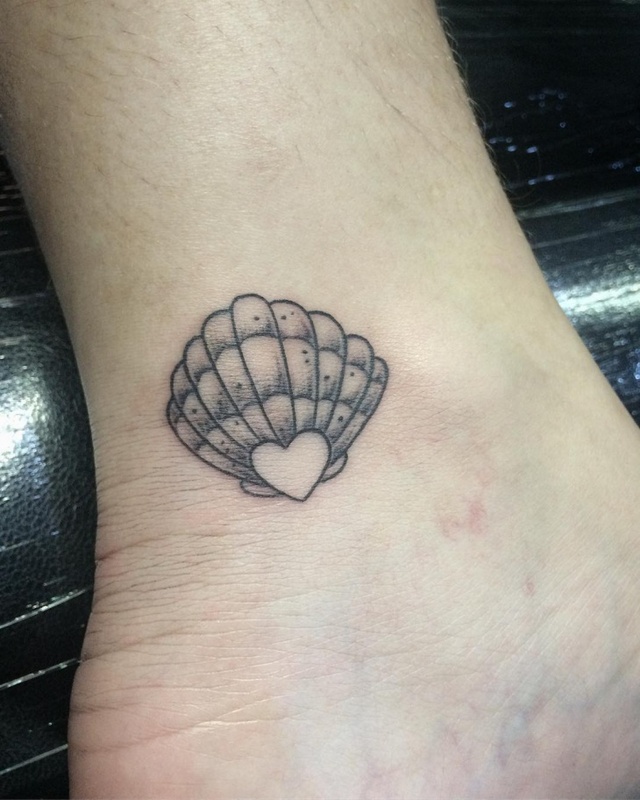 Add a heart symbol to the conch shell to symbolize a memory of a loved one. The black ink helps this tattoo to stand out. 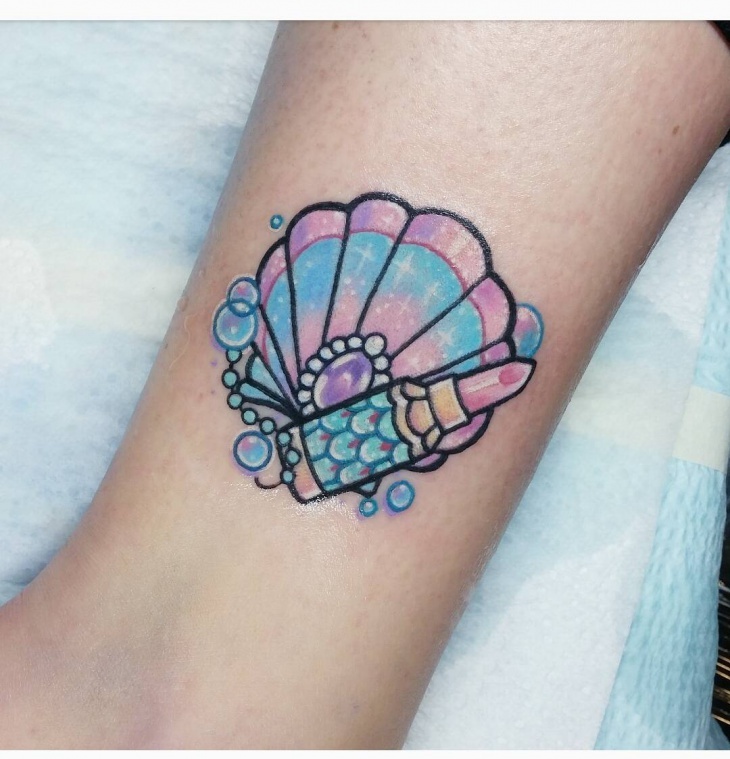 Using vibrant colors such as blue and pink is the best way to incorporate your favorite colors into a shell tattoo design. 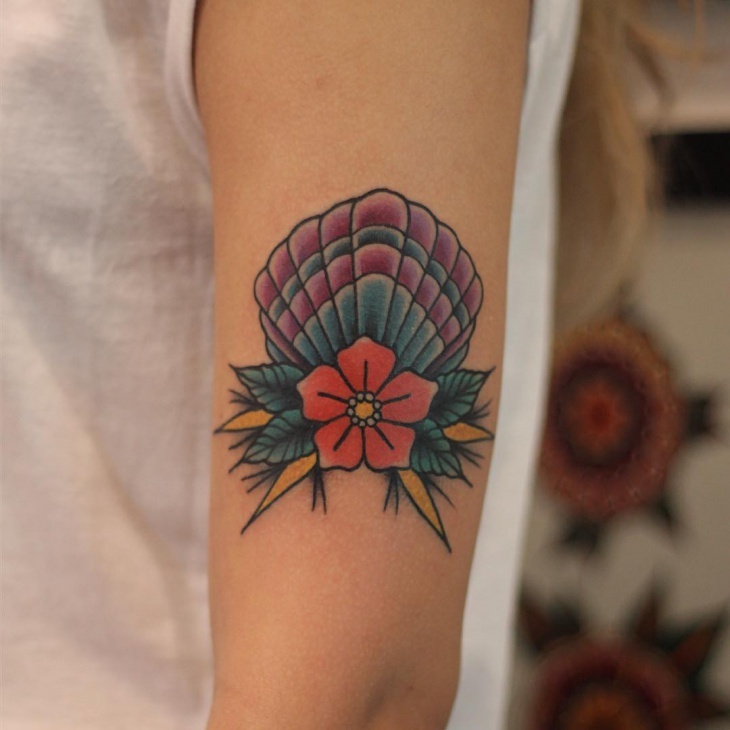 Ideal for ladies, this colorful tattoo, takes creativity to a whole new level by using a shell and lipstick. 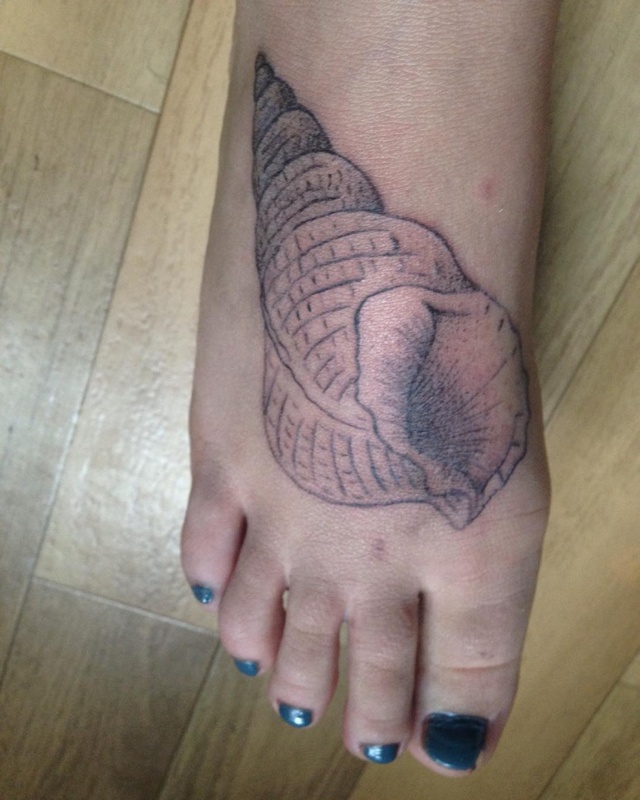 When getting a Hawaiian tattoo adding a shell gives the ink art an edge that all beach lovers will admire. 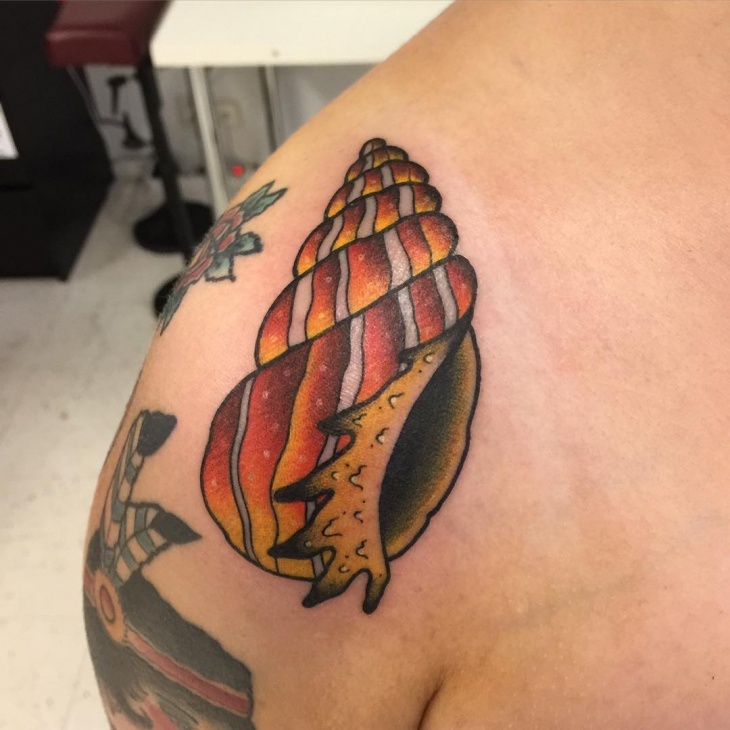 Men can get this large shell tattoo on the shoulder and use subtle colors such as brown and yellow. 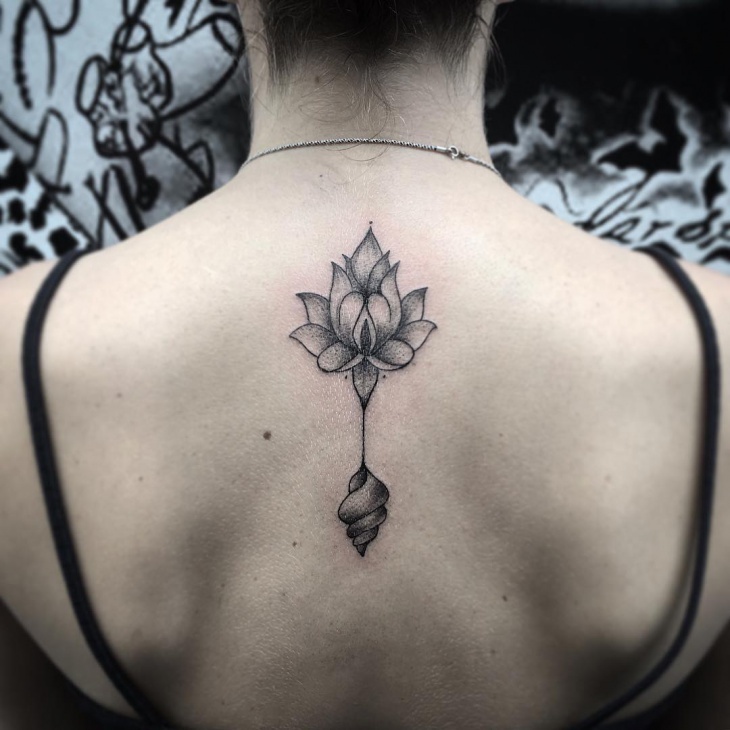 A lotus and a shell tattoo are one of the easiest ways to depict your deeper religious beliefs. 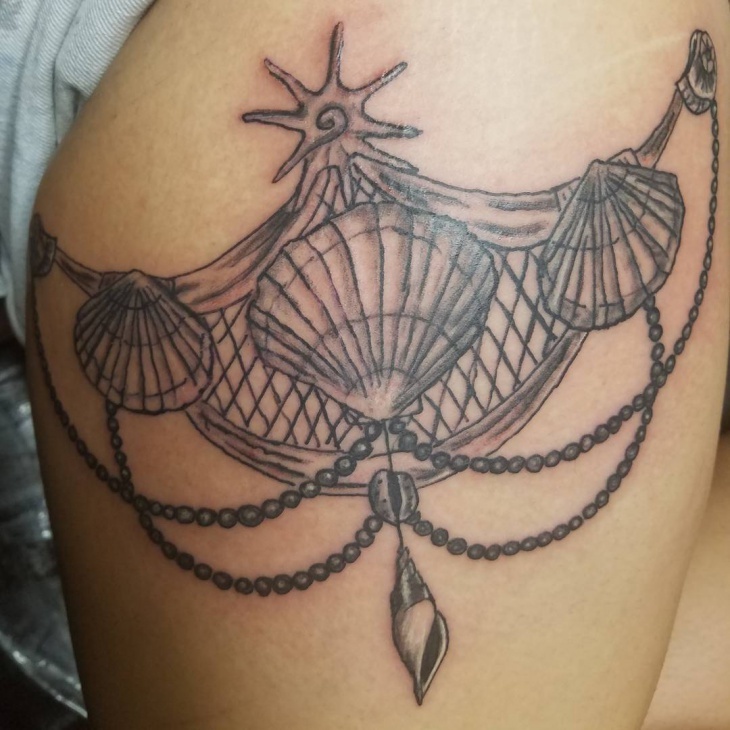 Getting the ink at on your backbone symbolizes strength, endurance, and enlightenment while shell design represents your religious beliefs in Buddha. 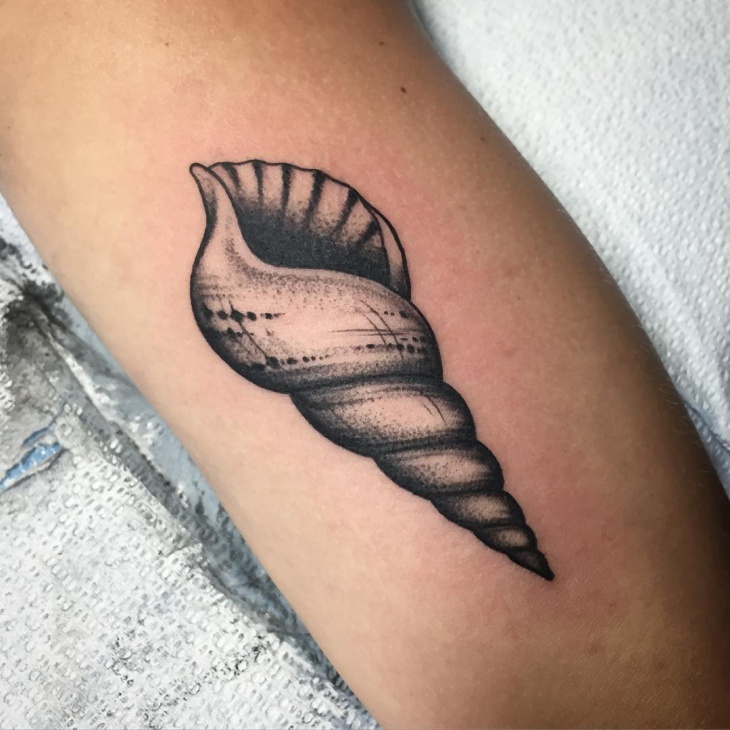 If you want a design that represents the mystery of the ocean, a shell tattoo can help you do just that. The bold purple, blue, yellow and red colors and flower design gives a feminine trait to this tattoo. 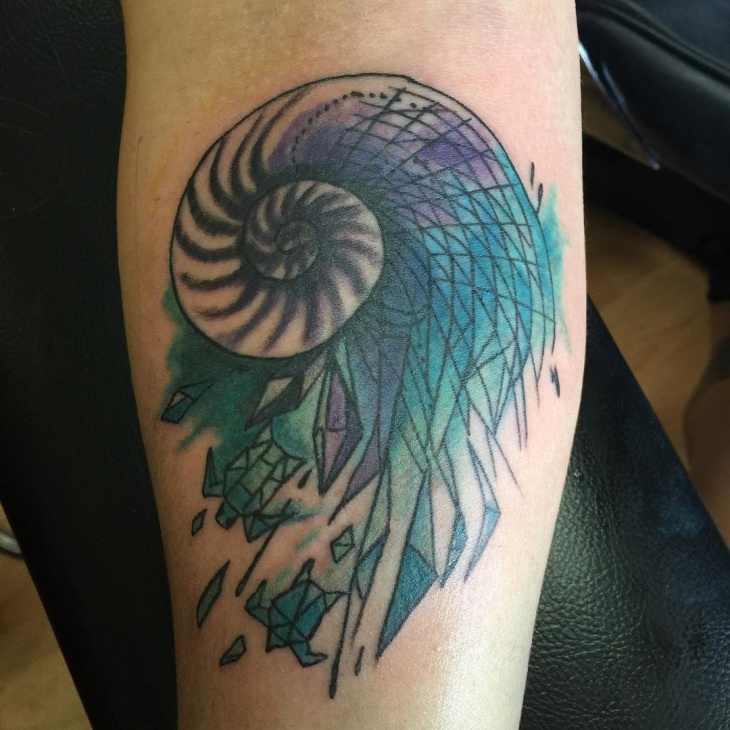 If you want to make a bold statement that is hard to forget, then add watercolors to a simple shell tattoo. 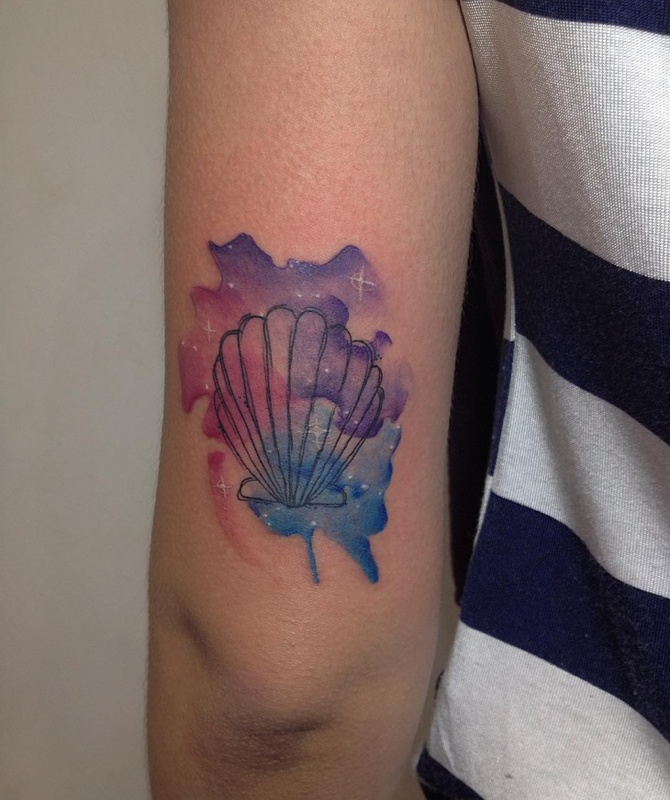 Opt for vibrant colors such as red, purple and blue to give your shell tattoo a feminine yet fun touch. 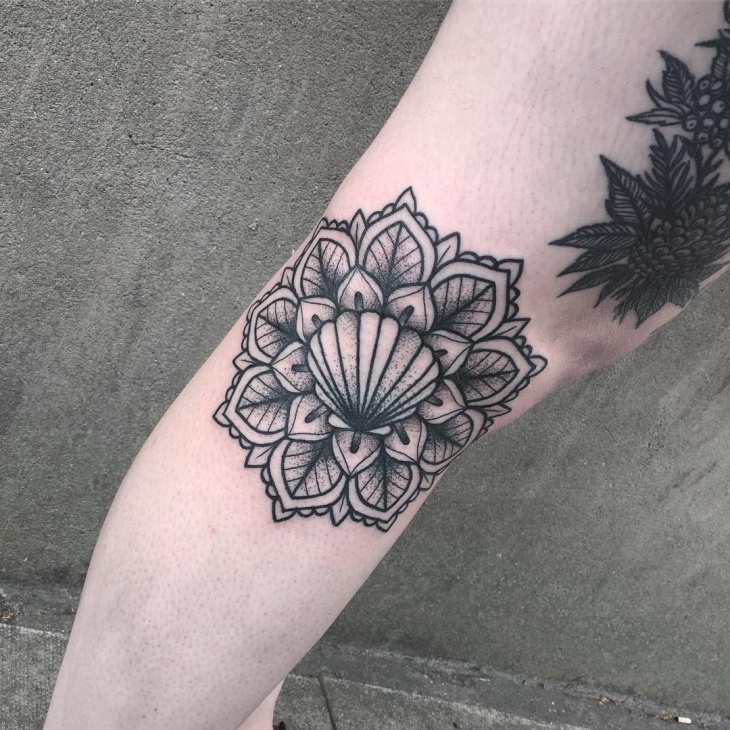 How to make your shell tattoo stand out? 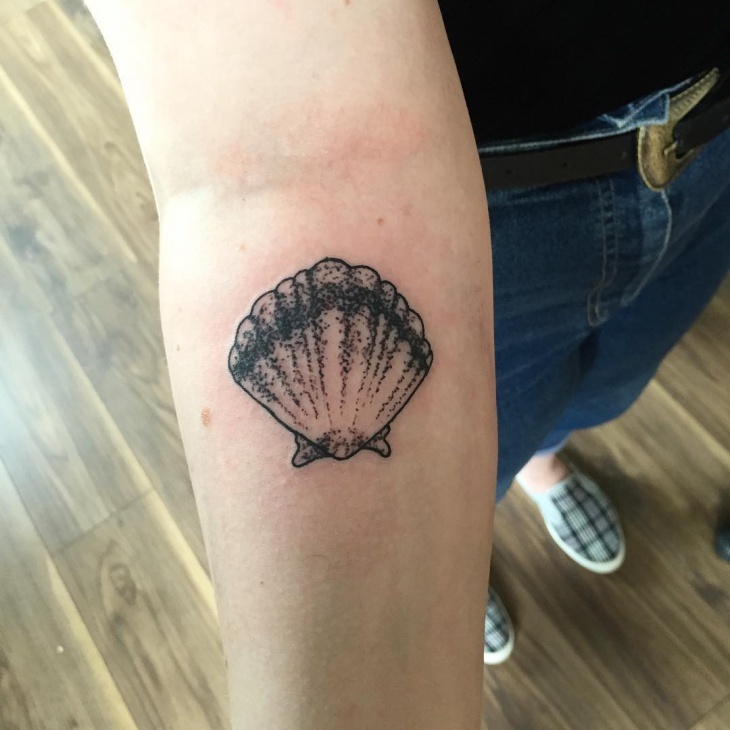 While a simple shell tattoo can help you represent the deeper meaning you want to show, adding other elements to the design will bring out your fondness for aquatic life. Add other items such as pearls, watercolors, flowers, starfish, and turtles to better express your personality. 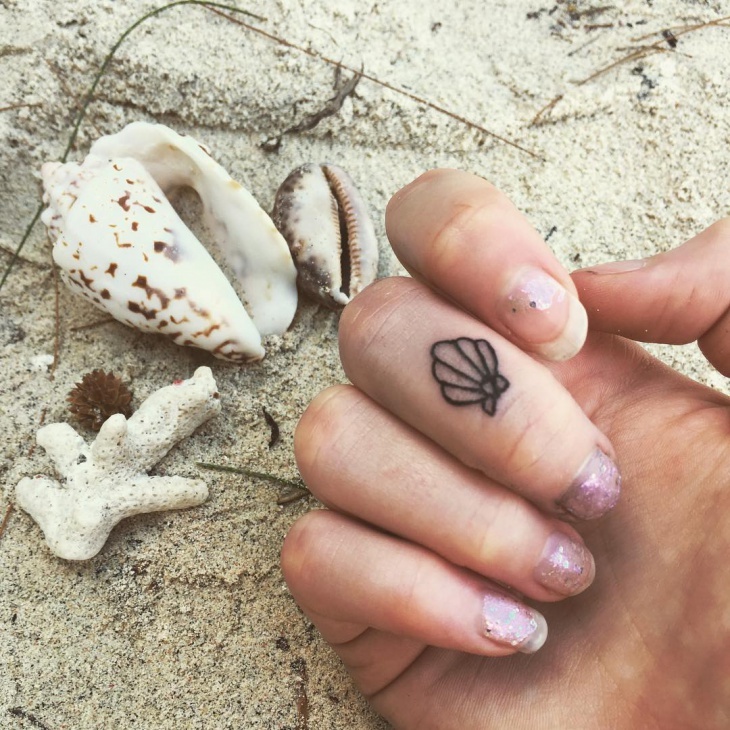 How to choose a seashell tattoo? 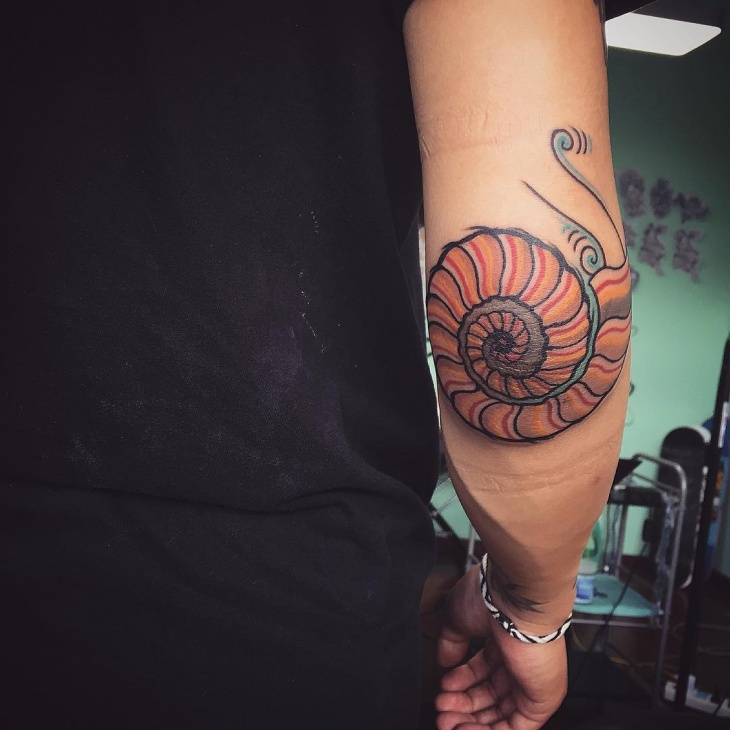 When it comes to rare body art such as a seahorse tattoo and shell tattoo, the mystery that these designs symbolize is unique to each person. So, choose a size and color that is a clear representation of your personality. Koi fish tattoos just like shell tattoos signify adversity and personal strength that both male and female can relate to. Instead of explaining who you are and what you stand for, you can let the tattoo do the talking for you. 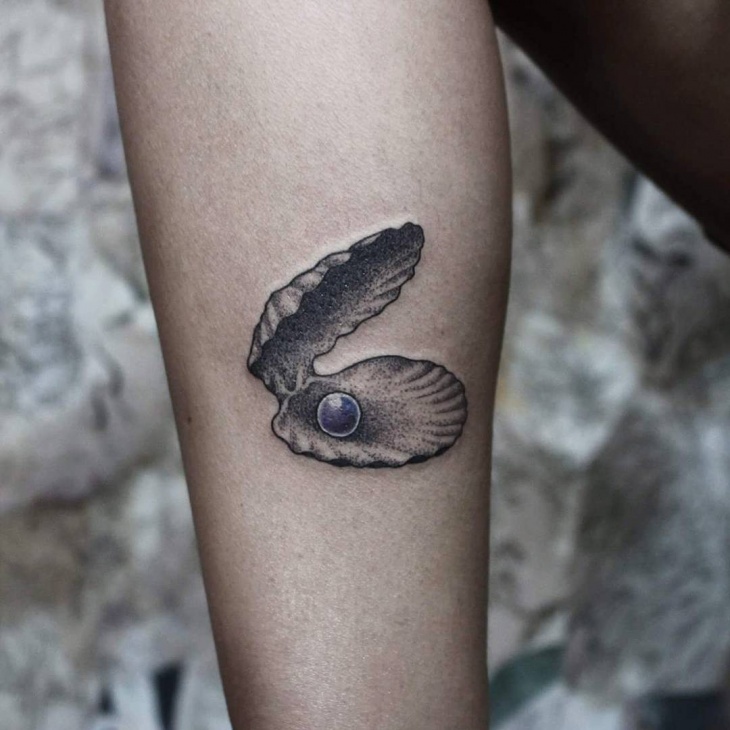 So, be inspired by these rare designs and get yourself a shell tattoo.